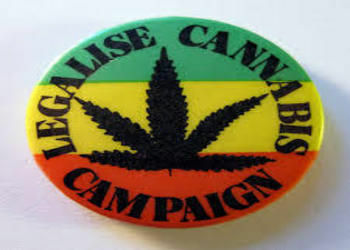 Studies have also been popping here and there giving us factual information on the bright side of marijuana and why it deserves to be legalized and offered to individuals who can find a good use for it in improving their health and prolonging their lives. Even recreational marijuana is not to be left behind and is passed by legislators in various states all over the country. However, the marijuana legalization also has other benefits that weren’t highlighted in talks involving this humble plant. As more people discover marijuana, the lower the numbers of those individuals engaging in prohibited drug use and even that of teens taking marijuana behind everyone’s back. Maybe its legalization showed them not to do it anymore in hiding and get it from legit sellers or pay a visit to their doctors to find out if they are eligible for medical marijuana, for instance. And if they don’t, then they just don’t have access to it anymore. That’s it. Why take drugs and marijuana illegally when it is now legal, after all. The probable reasoning behind it may also be that there are fewer sellers now in the black market than there was in the past when they can openly open a marijuana business without having any trouble with the authorities. It makes sense when you look at it that way. You no longer have to inconvenience yourself devising various schemes because you can safely sell weed right under the authorities’ noses and nobody will ever question you for it. And as a result, teens and other under-aged minors no longer have resources where they can buy weed illegally and thus had to stop the habit unless they can secure means in which to buy it legally. While legalization opponents have long argued that ending prohibition would lead to skyrocketing use by young people, that doesn’t seem to be happening. Advocates, on the other hand, have maintained that regulating and controlling the cannabis market and instituting strict age restrictions would actually give teens less access to marijuana than they had when it was illegal and there were no checks for age at the point of sale. At least, pro-marijuana legalization can add this little detail to strengthen their argument why cannabis should be legalized in more US states from now on. Whether it is for medical or recreational use, making it legal is a great way to monitor the market and discourage people from buying it illegally when they can purchase one in broad daylight if they pass all the eligibilities. And this move is a big boost to the economy especially now that the government can collect taxes from marijuana growers and sellers and businessmen selling marijuana-related accessories like dab pipes and oil rigs when before they couldn’t since it was sold underground. The growth spurt in this market has also opened up employment and livelihood opportunities to many people and thus allow them to earn an honest and decent living knowing that marijuana isn’t that bad after all.